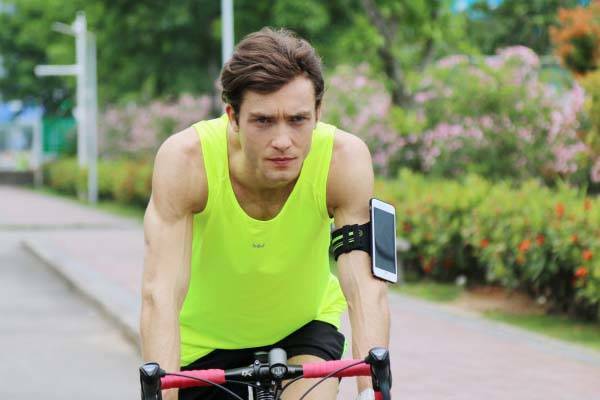 Using its ergonomic design Lock&Go sport armband comfortably keeps your smartphone on your arm for running, cycling, working out and more. Curious? Let’s continue checking. 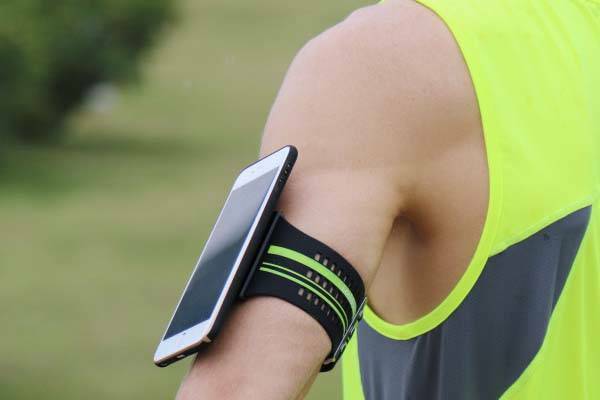 The Lock&Go is a well-designed and versatile sports armband that works with all kinds of smartphones. As we can see from the images, the armband sports a sleek and low-profile design along with three optional colors: orange, red and green. The armband measures 15.7 inches (40cm) long, and it’s made of silicone, so it’s elastic to fit any arm sizes between circumference 8.3-17.3 inches (21-44cm). With the help of silicone material, the elastic band can firmly stay on your arm, and the skin-friendly silicone and breathable design enable it to deliver a comfortable wearing experience. Meanwhile, its metal buckle prevents your euthermic phone from touching your skin. Of course, you can effortlessly access to the phone on your arm during your exercise, and an elastic key slot firmly keeps your key in place. Moreover, the sport armband is easy to clean with water for next use. All you need to do is just attach an ultra slim adapter onto the back of your phone, which allows it to work with the armband. The Lock&Go has successfully achieved its crowdfunding goal on Indiegogo. You can pledge $14 to preorder the sports armband. It would be shipped in June 2017.